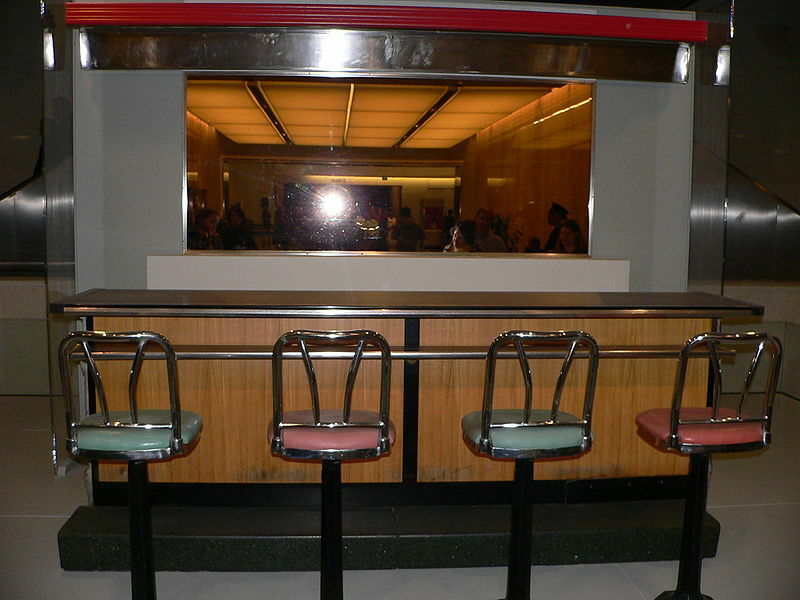 The Woolworth lunch counter, now part of the Smithsonian. It’s not a date that stands out for most Americans, but it should. Four African-American college students entered the Woolworth’s store in Greensboro, North Carolina. They purchased a few toiletries, one recalled buying toothpaste, and asked for receipts so they wouldn’t be accused of shoplifting. On the way out, they took seats at the lunch counter to order burgers. This was back in the days when drug stores often had lunch counters selling pancakes, burgers, sodas, and malts. This was also back in the day when the lunch counter was only for white people. February 1st, 1960. The young men knew they were breaking the law, but that was the point. It’s why they had come to the drugstore in the first place. They were trying to make a statement about the injustice of a law that allowed whites to order a burger at the counter but denied the same to others on the basis of skin color. A white store manager told the young men that they couldn’t be served at the counter. A black waitress who was tasked with picking up their unused silverware and plates told them they could order at the stand-up counter reserved for blacks. They declined, and waited in their seats. The young men’s patience and bravery were essential to combat what James Madison refered to as “tyranny of the majority.” The great weakness of democratic systems as far back as ancient Athens is that they can do terrible things to people. And when these terrible things happen, we have a name for it – democracy. In a system where the majority has absolute power, the minority has little recourse when things don’t go their way. They just have to submit, a lesson learned the hard way by Socrates. The ballot box is of little use as a means of recourse because the minority will always lose. Violence is sometimes suggested as a strategy for minority resistance, but that course of action permits the majority to respond in kind and with greater force. Because of these challenges, the idea of nonviolent resistance – civil disobedience – was central to the men’s lunch counter protest. The hope was that if enough people witnessed the absurdity of a black man being turned away, or accosted, merely because he wanted a hamburger at a lunch counter, that those in the majority might feel some compassion or at least realize the absurdity of the law. The goal was to win people’s hearts and minds rather than to resist the law through violence. It was a risky strategy. Franklin Mccain Sr. (who just died a few weeks ago) was one of the four original protestors. He recalled that his parents and grandparents had told him that if he believed in the Constitution, the Bill of Rights, the Ten Commandments and hard work , everything would work out. The Woolworth desegregated in July of that year. The civil rights movement was a slow and painful process, born from the understanding that the American Promise was meant for all people. Martin Luther King Jr. understood that when he wrote his beautiful letter from that jail in Birmingham. Generations later, we now struggle with young people who too often think that the promise of America is not for them. Their doubts are fostered by an educational system that highlights the failures of our nation rather than its aspirations, and emphasizes division among races rather than our collective story. A seat at the lunch counter so dearly won, lost by the segregation of hope. What a powerful, dramatic event! Has a play ever been written about these four and this day? I don’t know, but you are right! It would make a wonderful play. Reblogged this on Femdog Africanus.